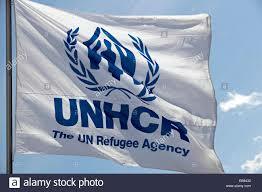 Administration for Refugee and Returnee Affairs (ARRA) is UNHCR’s (United Nation High Commission for Refugees) main Government counterpart to ensure protection of refugees in Ethiopia. In an attempt to ensure better delivery of protection and assistance for the refugees in the country, ARRA as the F.D.R.E Government Refugee Agency in collaboration with the UN Refugee Agency is currently working in close partnership with over 48 national and international organizations in the country. These are both implementing and operational partners. Implementing Partners (IPs) represents international and national NGOs with whom ARRA and UNHCR have signed a tripartite Project Partnership Agreements (PPAs), and receive direct fund support from UNHCR. Operational Partners (OPs) represents those with whom tripartite Letters of Understandings (LOUs) have been signed and are still active, and came with other funding sources than UNHCR to implement multifaceted projects that targets to benefit refugees and host communities. international and national NGOs, civil society, media, academia, refugees and host communities and other stakeholders. This multi-stakeholder approach seeks to expand opportunities and ensure a more effective response to the developmental needs and aspiration of refugees and host communities through a whole of society approach.